If you are keen to learn more about Kundalini Yoga then here are some books which are great to learn more about the technology and science behind the practice. Kundalini Yoga - The Flow of Eternal Power - a Simple Guide to the Yoga of Awareness as Taught by Yogi Bhajan by Shakti Pawha Kaur Khalsa. Defines the nature of the chakras, how they work, their interaction, projection, and potency with both humor and subtlety, and often, surprising candor. The chakras are the keys to being human and being happy. The 21 Stages of Meditation clarifies the process and outlines the steps toward your own progress in meditation. The 21 Stages of Meditation is a key work in deepening your understanding and experience of meditation. Ranging from Upset and Boredom to Humility, Graceful Enlightenment and the Sage, explore these stages and more. It focuses on the identity of woman as Infinite, the reality of woman as a healer and a nurturer, and the life of a woman in relationship. Each part consists of a dozen or more edited lectures of Yogi Bhajan as well as stories, comments, and experiences from women who studied directly with Yogi Bhajan throughout the years. For those who want to understand and use meditation to develop and transform themselves. It discusses the three basic minds; positive, negative and neutral. It links these to the inherited mind. 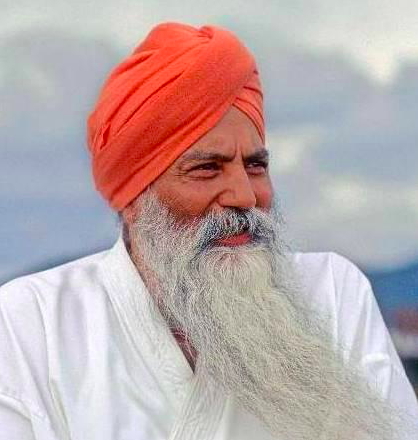 A compilation of teachings by Yogi Bhajan given during Master's Touch courses in Espanola and Assisi, Italy. The 22 classes given in Espanola cover topics such as "What is Happiness", "Self Reverence", "The Teacher and Student", "Projecting as a Teacher", "The Art of Communication", "The Caliber of a Teacher". Erin’s favourite quote book! This Is A Book Of Timeless Wisdom transmitted by one of the great teachers of the age. If you are keen to learn even more in depth than these books then I would suggest you look into doing a teacher training course, as that will give you a lot more knowledge about the teachings of Kundalini Yoga (even if you do not want to be a Yoga teacher). The Level 1 Teacher Training programme is all about understanding the teachings and Level 2 is all about personal growth. You do not need to do Level 1 to do Level 2, as Level 2 is about understanding yourself and crystallising your own energy. You will learn more from these courses than reading a book as Yogi Bhajan would always say that knowledge only becomes wisdom when you experience it within yourself.